Lots of lights and spinning. Early cinema and Victorian Christmas scenes. Nativity scene, snow and fires. Baubles, Lady Gaga, The Muppets and a sofa. Icey Snowflakes, presents and a sofa. 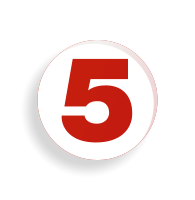 The stills and clips on this page are copyright © Channel 5 Broadcasting Ltd.
'thisisfive.co.uk' is not an official site and has absolutely no connection to Channel 5.